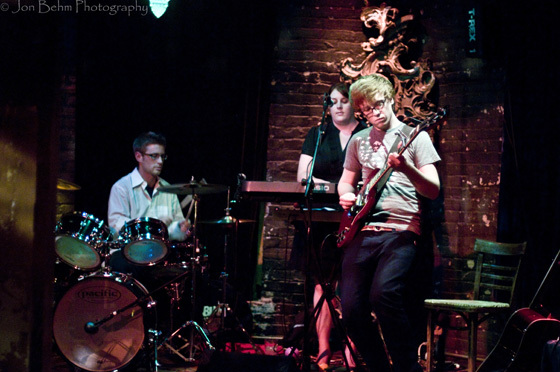 Venue: The Kitty Cat is a unique mix between suave cabaret and shabby dive bar the center of Minneapolis’s Dinkytown. Booking: Mostly local acts who are on the smaller side, though once in awhile the odd touring band will come through. There is a wide assortment of music, though folk and jazz are probably the best represented styles. Concert Experience: The club has a lovely interior, filled with couches, rugs, and pillows. Unfortunately most of these are blocked from any view of the stage which is in a large side room. The lighting and sound aren’t anything to write home about, but they aren’t bad. The club is rarely crowded and features a dance floor in front of the stage where people actually dance (!). Venue features the most difficult to use hand washing system in the metro area in its bathroom. Drinks: Actually a pretty high quality assortment of beer, wine, and spirits. Prices can get steep, but there are some pretty good deals as well if you look for them. Credit cards are accepted with no minimum. Staff: Generally laid back, easygoing. The roudier crowd is generally getting wasted in the many surrounding bars rather than this one, so mostly everyone is pretty chill. Parking: No free parking for a good 4 or 5 block radius at least, and most of the free spots are taken by students who live in the area. The Inside Scoop: In the summertime head upstairs to Annie’s Parlour for a great patio and delicious malts.